California is calling us back! After being gone for almost 3 years, we finally get to go back. Before dining at restaurants I've dreamed about (A.O.C. I'm looking at you! ), enjoying long dinners with friends and hanging out in Santa Barbara wine country, we decided we should jump on the diet/cleanse bandwagon now rather than waiting til our more traditional, well...NEVER. So, though I'm posting this recipe, I'm not eating it. Not today anyway. It is a DELICIOUS and quick strawberry jam to make, though. Why am I making such a big deal about it? Hang on just a bit. I'm getting there, but for the record, this is a virtuous recipe - paleo, vegan, gluten-free are all covered with this one - the only reason I'm not eating it at the moment is because I really want it with bread and butter both of which are not "allowed" on the Blender Babes detox cleanse and I'm trying to stick to it even though as you can see, I'm running a few days behind the posted January 4th date. 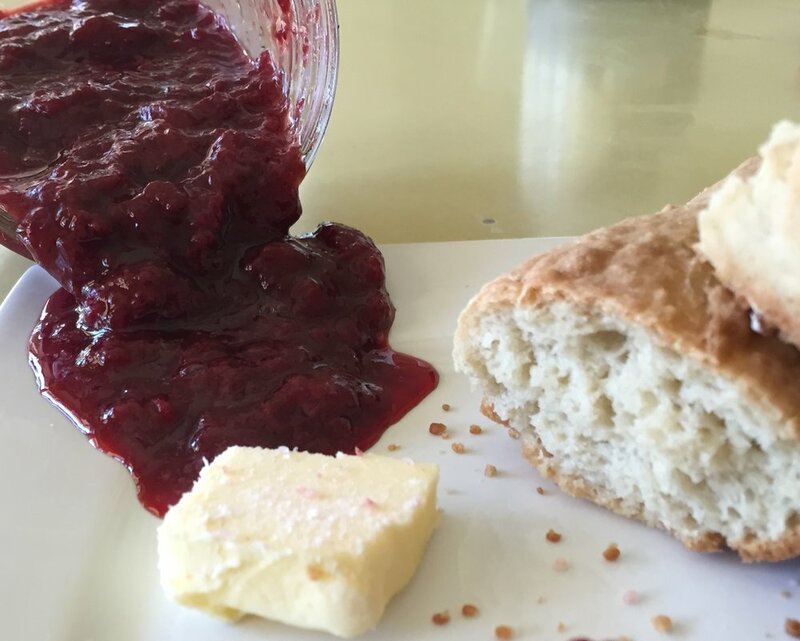 So here's the big deal: this strawberry jam has no sugar in it! No refined sugar, no cane sugar, no organic sugar. Ok. Yes, it does have maple syrup and yes, I know that technically that is "sugar", but how it behaves in your body is different. So much so that even those on strict Paleo diets eat it on occasion. So now that that's all taken care of, you have to know that this unbelievably awesome jam along with a toasted (gluten-free) baguette and some grass fed butter sprinkled with Himalayan pink sea salt, creates the simplest of breakfasts (AKA "French Breakfast" at our house especially when accompanied by a Café Crème.) Want some other uses for it? 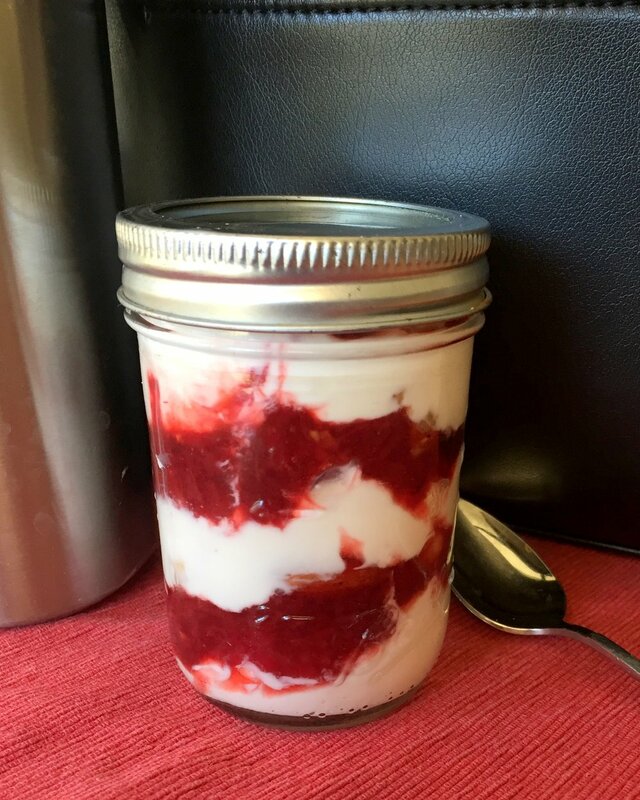 Make a healthy sundae with maple sweetened vanilla ice cream (personally I would use only 2/3 cup of maple syrup for this recipe...just my preference), a PB&J of course, or our favorite, make a road-worthy, protein-packed breakfast by layering organic yogurt, your newly made and cooled strawberry jam and paleo granola in 8-ounce mason jars. Place strawberries, lemon zest, lemon juice and maple syrup (Did anyone else start hearing Buddy the Elf upon reading that?) :) in a pan and bring to a boil. 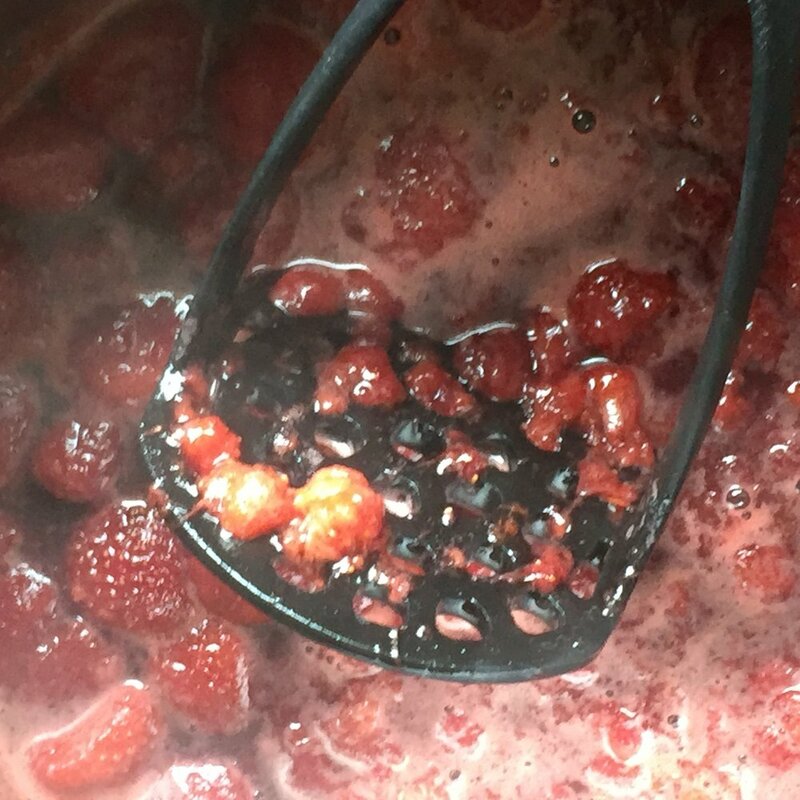 Once the strawberries have cooked down a bit, mash with a potato masher to break them completely down. Keep cooking until you see foam forming on top (you can scrape it off or leave it) and you can see the bubbles getting very thick. Pour into a jar and let cool then place in fridge. Get out a spoon, enjoy every last drop and make it again. Hey! You know what? I can have it on a spoon, no bread or butter necessary! YAY! Let me know how you like it! I'm off to grab a spoon. Place all ingredients into a medium saucepan and bring to a boil. 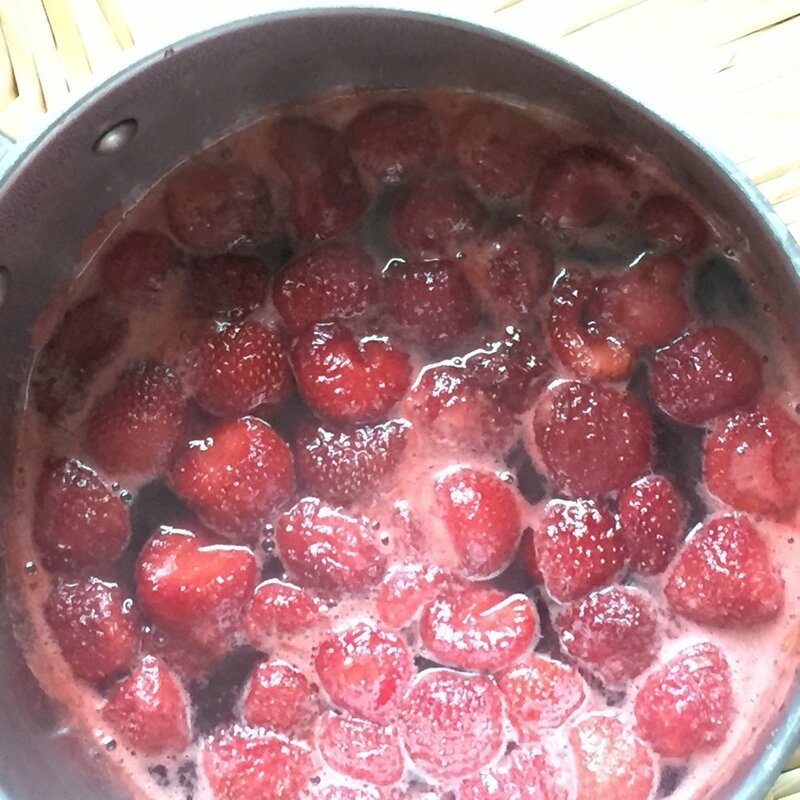 Lower heat and simmer for 5-10 minutes or until strawberries are very soft. Mash the strawberries until they are in uniformly small pieces. 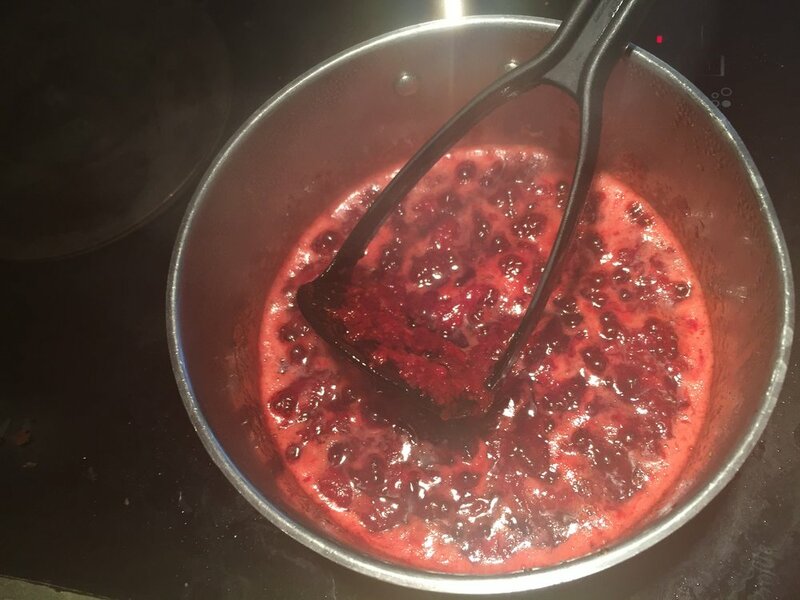 Continue to simmer over medium low heat until very thick and a foam starts to form. Let cool and the place in refrigerator. Since this is not shelf stable, it has to be refrigerated. *This makes slightly more than 8 ounces, really probably about 10 so you can either use two 8-ounce or 1 12-ounce.